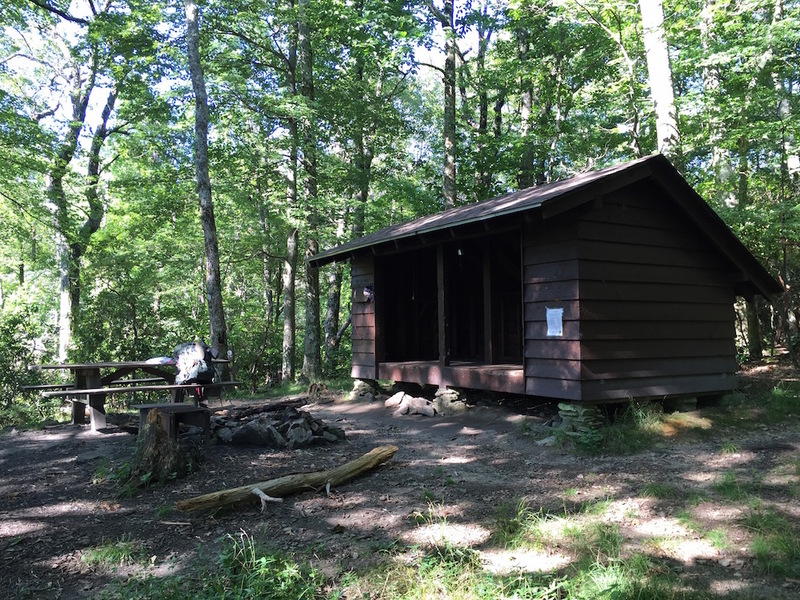 The Cornelius Creek Shelter is located in Botetourt County, Virginia and is maintained by the Natural Bridge Appalachian Trail Club. This shelter was built in 1960, making it one of the older shelters on this stretch of the Trail. Mills Kelly, “Cornelius Creek Shelter,” Appalachian Trail Histories, accessed April 23, 2019, http://appalachiantrailhistory.org/items/show/68.